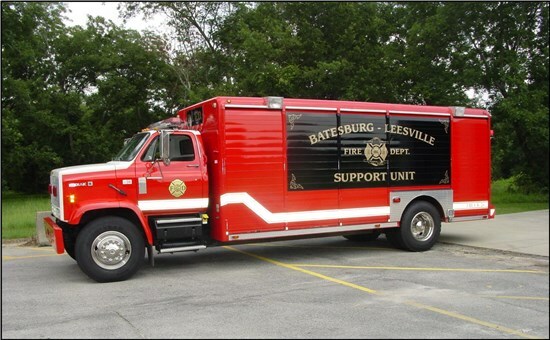 The Batesburg-Leesville Fire Department is divided into two response districts. 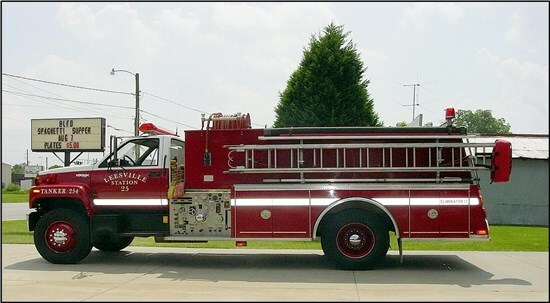 Station 25 in the Leesville District is responsible for the eastern section of town while Station 26 provides primary response for the western end. Structure responses within the town will see both stations responding while only the closest station may respond to vehicle wrecks, car fires, grass fires, etc. 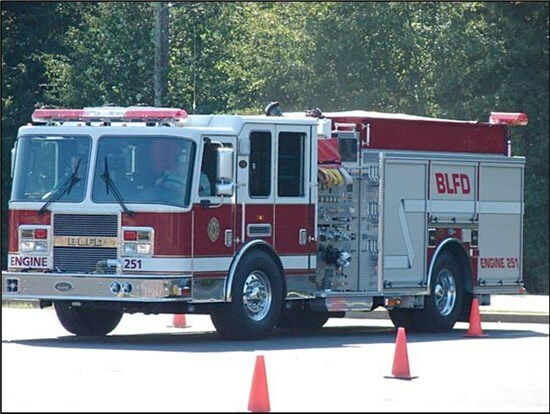 Each station is equipped to provide fire suppression activities as well as vehicle extrication. 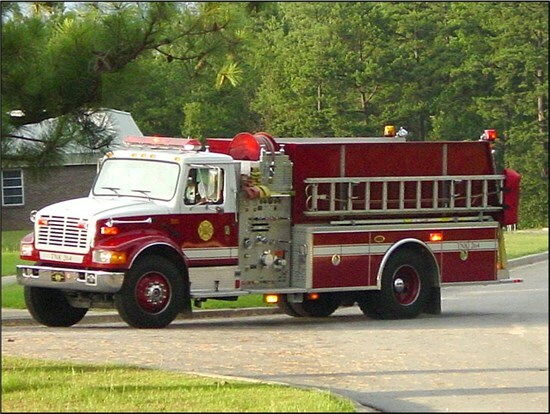 While the department’s brush truck is located at Station 25 and Support Truck 26 is located at Station 26 due to responding primarily in support of residential and commercial structures inside the town limits. Departmental equipment is numbered per the station it is assigned to. 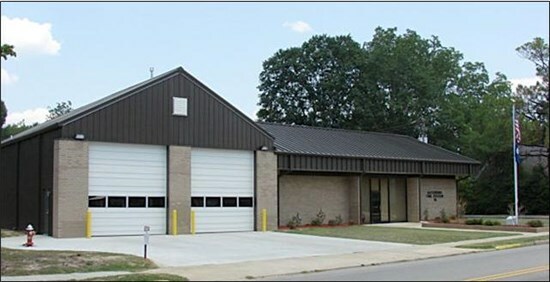 Station 25 is located in the Leesville District at 431 East Church Street. The station is comprised of 2 full bays with entry/exit points on both ends. The department’s ventilation unit is staged in the facility. The building has a meeting room along with a full kitchen area, bunk room, two bathrooms with showers, and office. An emergency generator provides power as needed to the facility and it serves as an alternate Emergency Operating Center for the Town. The department’s paid firefighters work primarily out of the office in this station and are housed overnight at this location. This is a large mobile ventilation fan built to support ventilation activities in large structures. The fan is mounted on a tandem axle trailer with its own motor and fuel supply. The fan has been utilized both in the town to ventilation large commercial manufacturing structures as well as mutual aid responses in Lexington and Richland Counties. 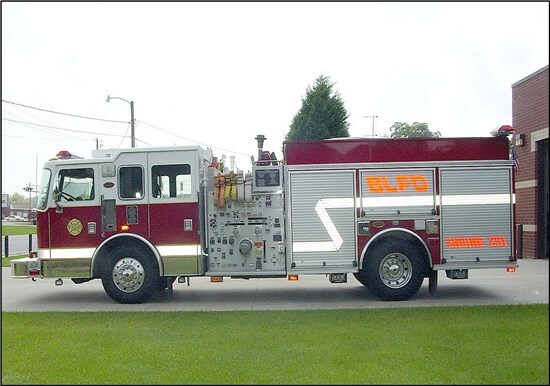 Unit is used daily by the firefighter personnel in support of routine tasks for the department, including equipment transport, and emergency response. The truck is equipped with a 18,000 lb. 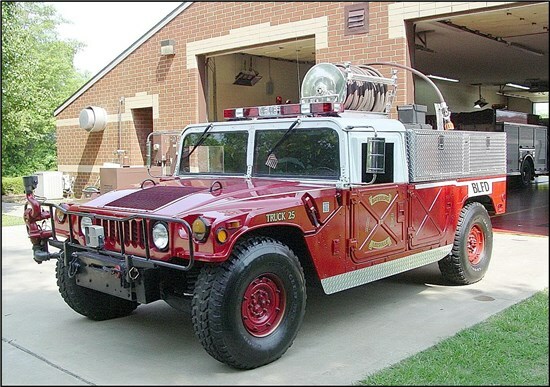 winch in the front bumper and has 4 wheel drive capability. 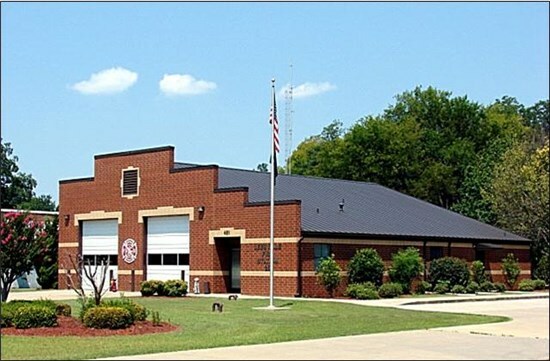 Station 26 is located in the Batesburg District at 537 West Church Street. The station is comprised of 2 full bays with entry/exit points on both ends. The building has a large meeting/training room along with a partial kitchen, storage room, bathrooms with showers, weight room, sleeping area, and office. An emergency generator provides power as needed to the facility and it serves as an alternate Emergency Operating Center for the Town. The Fire Chief works primarily out of the office in this station. This area also has washer and dryer units for the cleaning of personnel’s bunker gear and Breathing Air Compressor.